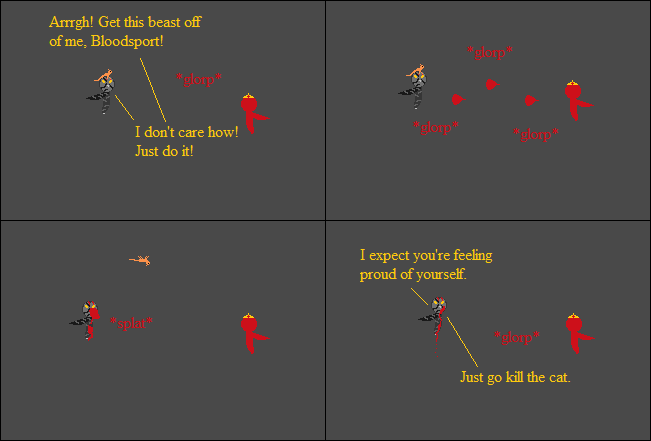 Inspired By True Events - Bloodsport did not expect today to be so much fun. Bloodsport did not expect today to be so much fun. I don’t want to make any snap judgments here, imaginary readers, but I’m starting to suspect Roux may be a cat without a master plan.